Elegantly designed with modern decor, this nice cottage provides comfort for its guests, whether they need a weekend refreshment or longer vacation. Ciplakova Cottage features modern accommodation including all the facilities and amenities that will contribute to your perfect vacation. 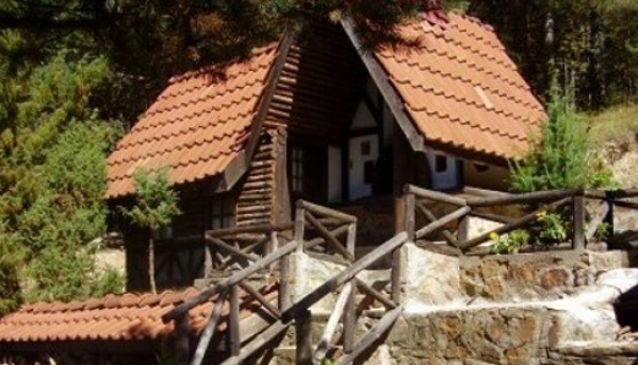 The cottage also provides a fire place as well as wood bakery and barbeque area where you can prepare delicious specialities and relax in lovely environment with pine trees and unique plants. Ciplakoca Cottage is an ideal place for a family vacation as it offers green fields and meadows amongst the forest which are suitable for children to entertain and recreate. Only 5 minutes of walking and you will be right on the beautiful Berovo Lake where you can enjoy breath-taking views.